Sri Lanka Massage Places and Ayurveda Spa's Information Directory: Global Tower Hotel - Colombo 06. Global Tower Hotel - Colombo 06. Global Tower Hotel, No.11, Station Road, Colombo 06. 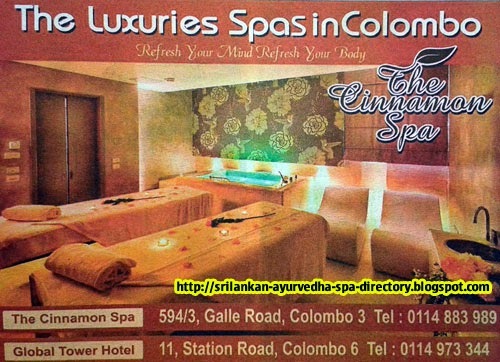 The Cinnamon Spa, 594/3, Galle Road, Colombo 03.